Note: Maybe I haven't been blogging long enough to warrant a post rerun, but this post first appeared on October 28, 2012. This is part two of a two-part series. Read the first part here. Last week, I discussed the history of Scottish nationalism and the rise of Scots-Gaelic culture as an alternative national symbol in the 20th century. Into this scene in the mid-1980s stepped Capercaillie, a traditional band born of the folk revival and composed at its inception mostly of musicians from the Gaelic-speaking west coast and islands, including organizer Donald Shaw and frontwoman Karen Matheson. They drew their name from their own land, after a type of pheasant that lives only in Scotland. Similar to Altan in Ireland, their native Gaelic-speaking birthplace was their inspiration. Though drawing from specifically local sources, Capercaillie’s sound was a musical hybrid, using contemporary Irish models as much as Scottish ones for their instrumentation and musical arrangement. Their inclusion of bouzouki, an instrument of Greek origin introduced into Irish music in the 1970s, is indicative of their connection to the folk revival as opposed to older traditions. Noticeably lacking were the tartans and Highland bagpipes. Capercaillie’s early albums, Cascades and Crosswinds, consisted entirely of traditional dance music and locally specific Scots-Gaelic language songs. To get an idea of where Capercaillie started musically, here’s a “Puirt a Beul” (Scot-Gaelic for mouth music) from Crosswinds, a traditionally unaccompanied vocal genre to which Capercaillie has added instrumentation, included limited synthesizers (mostly as drones). A stylistic turning point for Capercaillie came when the group was asked to write music for The Blood is Strong in 1988, a television series about the worldwide legacy of the Scottish Gaels. For this production, Capercaillie added electric bass, drumset, and heavy use of synthesizers to their usual repertoire of Scots-Gaelic songs and dance. They were probably following the example of the Irish family group Clannad and Clannad’s wayward sister Enya, who had just produced her own very popular television soundtrack The Celts. Clannad at the time had mostly abandoned traditional melodies and production, and was on their way to helping create the New Age music scene and culture. Why did both Capercaillie and Clannad adopt popular styles and the English language? Most likely, it was the lack of sufficient support base for them at home. Gaelic speakers were few, but produced a disproportionate number of musicians (1). As a result, artists and their labels sought to reach out first across the Scottish and Irish diaspora, especially in North America, and then onward. This complex negotiation of style resulted in local artists catering to international tastes. According to Martin Stokes and Philip Bohlman, white America has played the most significant role in the shaping of musical output of these small music-rich fringes of the Gaelic-speaking world (2). Instead of a pub, the community is now a virtual one, into which the listener projects themselves onto the Celtic musical imagery. This new musical product, developed on the world stage, is then marketed locally and globally as a symbol of the nation, perhaps as much an invented tradition as kilts. Meanwhile, the non-diaspora-specific “New Age” culture, describing an imaginary ancient past connected with an alternative spirituality, fed on the Celtic folk movement and claimed anyone who wished to participate. Capercaillie, however, did not go in Clannad and Enya’s New Age direction, at least musically. Instead of abandoning Scot-Gaelic songs and traditional dance music entirely, they connected to the middle-class Celtic world by updating their sound with modern production and instruments. Additionally, in 1991 for their fourth studio album Delirium, they added a third type of song to their repertoire—original songs in English written in rock-popular style. Perhaps their use of English was inspired by the success of the Scots-Gaelic rock band Runrig, which achieved international success only when they switched to mostly English for the album The Cutter and Clan in 1987. Scotland’s taste in music was actually not that different than the UK’s, and the Scottish spoke mostly English. This strategy seems to have worked— four of Delirium‘s thirteen tracks have English lyrics, and the album was their first major financial success. Capercaillie’s choice of audience is made clearer by the content of the original songs on Delirium—they were all overtly political, timed just before the 1992 elections when Scottish autonomy was making a renewed effort. For Capercaillie, the United Kingdom shaped their aesthetic more than the global Celtic sound. “Waiting for the Wheel to Turn” from Delirium ties the oppressions of the political moment in the 1990s with oppressions in Scottish history. It makes reference to the Highland clearances of eighteenth and nineteenth centuries, suggesting that once again the rich men from the south are taking away Scottish (and specifically Scots-Gaelic) land and culture. Scottish rural town culture has special emphasis, referred to as the “soul” of the land, and the lyrics suggest that the rich landlords are “taking it all away”, “pulling the roots from a dying age.” The song is a call to action, as the lyrics suggest that the Gaelic people “feel the breeze of the storm to come,” and that these dispossessed people living on the rocks of the coast may finally get the better of their oppressors, when the “wheel” comes around. We would be hard-pressed to find any musical connection to Scots-Gaelic tradition in “Waiting.” That is, at least until a brief whistle and fiddle duet at the end (about the 4-minute mark). This was new. The inclusion of traditional-dance inspired instrumentals is the most interesting and novel element of these English-language songs, and the importance and complexity of these interludes grew as Capercaillie continued to produce recordings through the 1990s. These high-energy solos replace what would normally be a pop-style electric guitar or saxophone solo. They serve as a powerful reminder of locality and roots that differentiate Capercaillie from Clannad, who preferred pop-style solos. Capercaillie’s folk-style instrumentals, in turn, may have influenced the Irish popular group the Corrs, as this type of instrumental became a major characteristic of the Corrs’ style. The Scottish autonomy movement had a major setback in the 1992 elections, but the political fire was still charged, and Capercaillie continued to produce English-language political music in their next albums, the bluntly-titled Get Out and Secret People, alongside the dance medleys and Scots-Gaelic songs. Examples include and “Four Stone Walls” and “Outlaws” which treat the common situation of poor Gaelic speakers who are deprived of their traditional jobs and forced out of their ancestral houses when they can no longer pay the rent, and “Black Fields” which deals specifically with environmental and economic destruction resulting from the exploitation of Scottish oil, a major cause of the political rift between England and Scotland. The common underlying theme is anti-modernization, a theme that plays both to the middle-class New Age Celticism and the lower-class Scots-Gaelic political movement. Capercaillie’s album To the Moon brought the influence of New Age spirituality to their Scottish nationalist music. “Claire in Heaven” from To the Moon exemplifies all of the features of Capercaillie’s topics in this period: a mix of neo-pagan and Christian religion, anti-modern economics, and environmentalism. “Claire” is told from the point of view of a girl who has died and gone to heaven after living for only a few days; from her perch, she surveys the world, lamenting its dismal state but hoping for improvement when she is reincarnated. The lyrics criticize the modern lifestyle, epitomized by economic competition: “you tear, you part, you claw.” There is also a stab at the oil industry and Europe’s nuclear waste dumps in Scotland: “I gaze from poison sea to poison land.” The idea of reincarnation is harder to place, and is probably drawn in from the Eastern religious current in New Age spiritualism. Ultimately, this is not a pessimistic song; Claire still smiles because she sees that things can be brighter in the future, another call to political action. 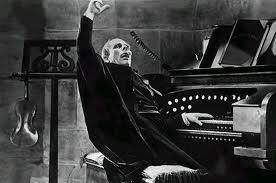 As you can hear, the popular and traditional musical elements are increasingly seamlessly intertwined. The 1990s, during Scotland’s political turmoil, was the height of Capercaillie’s creativity and popularity. Their most recent albums Roses and Tears in 2008 and At the Heart of it All in 2012 seem to be step back to the days before Delirium with an emphasis on acoustic instruments and traditional tunes. Even the few original songs are in a more traditional style than the 1990s songs, though still very political. Still, Capercaillie’s music and image, though devoid of kilts and Highland pipes, articulates Scottish nationalism in a new way. Their overall style is one of global Celtic culture, which has been reflected back to Scotland and embraced as authentic. Their juxtaposition of different genres of music—English rock songs, traditional Scots-Gaelic songs, and traditional dance tunes—enables them to communicate their nationalistic views while tying them to the oppressed Scot-Gaelic, their symbol for Scotland as a whole. With the English-language songs, they make political, modern connections; with the Scots-Gaelic language songs, they make connections with a past culture; and with the dance songs they connect the past with the transnational present. They’ve taken their esoteric “mouth music” and made it accessible to the rest of the UK and the world. Perhaps the recent official revival of Scots-Gaelic language as a cultural symbol with bilingual road signs and language education initiatives would have never happened without the popularity of musical groups such as Capercaillie, who managed to lift a dying language and music out of obscurity and into the national and international consciousness. Maybe the wheel is turning. (1) Simon Frith, “Popular music policy and the articulation of regional identities: The case of Scotland and Ireland,” Soundscapes: Journal on Media Culture 2 (July 1999). (2) Martin Stokes and Philip Bohlman, ed., Celtic Modern: Music at the Global Fringe (Lanham, Maryland: Scarecrow Press, 2003). This blog post was originally given as a paper presentation at the Singing Storytellers Symposium, 11 October 2014, in Sydney, Nova Scotia, Canada. Part 1 of 2. When the Scottish band Capercaillie produced their first album Cascade in 1984, they were considered a “traditional” folk group, born from the folk revival and built on the same super-group model as Planxty and the Bothy Band. They played for concert audiences, used traditional acoustic instruments, and their repertoire was drawn from traditional dance tunes and songs in the Scots-Gaelic language. However, seven short years later, their sound was markedly different and they had broken into the UK top 40 charts. What had changed? While not abandoning their Scots-Gaelic songs and traditional dance medleys, Capercaillie had infused that music with popular stylings. They also added to their repertoire a new type of song, English-language and rock-style, usually with nationalistic political overtones. Why did they do this? What led them to construct this unique sound and identity? 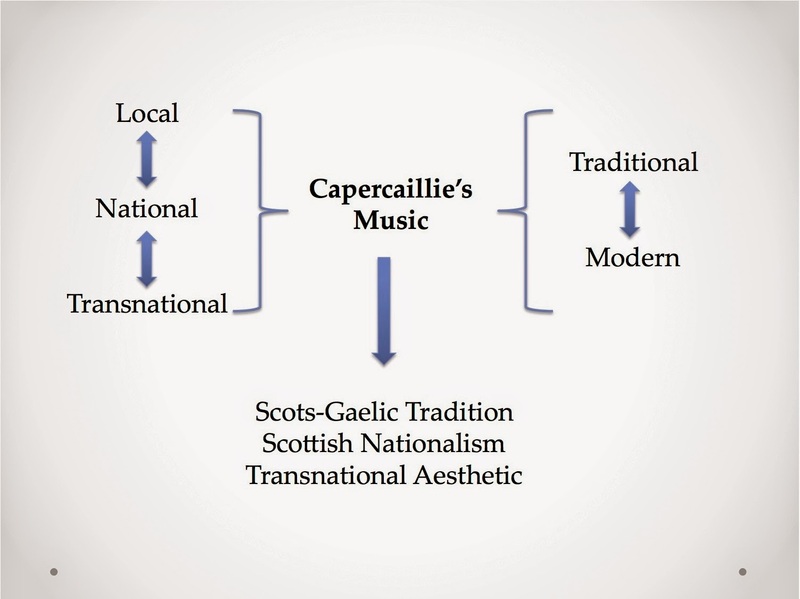 Capercaillie’s music is a product of two negotiations: first, between local, national, and transnational audiences, and second, between traditional and modern styles. These negotiations resulted in the articulation of the dispossessed Scots-Gaelic speakers in Scottish nationalist discourse, using a transnational commoditized Celtic aesthetic. The dichotomy between local and global forms the heart of Capercaillie’s nationalistic music: on the one hand, they work to break down class barriers and promote a feeling of unity in their own country, while on the other, they market their own small rural culture to the world as distinctive and timeless. Scottish nationalism is basically the idea that the Scottish maintain themselves as culturally distinct, a nation without a country. Anthony D. Smith suggests that the traditions or languages that define a country are not as important as its persistence as a separate identity, and he gives Scotland as an example of his concept of an “ethnie” which survives despite multiple cultural groups and languages. More important for creating a separate identity are one, shared cultural symbols and two, conflict with other groups (1). Scotland’s specific symbols and conflicts, however, have changed over time. Scottish culture may have initially been Irish culture, but after Scotland became a colony of England in the fifteenth century, the Scottish nobles went to England and assimilated, thereby increasing the marginalism of the majority of Scottish people. Later, the Scottish upper class instigated a revolt against English cultural supremacy, first declaring that Scotland was really the cradle of Gaelic culture and second claiming several “invented national traditions” such as adopting the Highland bagpipes as their national instrument instead of the harp and wearing tartan clan kilts, invented by an English Quaker industrialist and capitalized upon by English textile companies (2). While the upper class was creating their own proud national identity based on a Romanticization of the Highland culture, they continued to oppress the lower classes, instigating a series of mass evictions in the eighteenth and nineteenth centuries collectively called the “clearances,” which affected mostly the poorest and predominantly Gaelic-speaking populations, who either emigrated overseas or resettled on the rocky west coast. Approximately fifty thousand of those evicted ended up on Cape Breton Island. Cultural symbols do not always come from within an ethnie, however. According to Veit Erlmann, cultural products can be defined and created in a negotiation between the nation and world stage (3). In other words, perceptions of a nation can be adopted as true expressions of their local culture. This phenomenon is called global imagination, or “glocalization,” and Desi Wilkinson gives as an example the Celtic tourism of French Brittany, where neither the tourists nor the local inhabitants care if the music comes from Brittany as long as it fits into their imagined local aesthetic (4). Something similar has occurred in Scotland. Music has been for many years part of the global image of Scotland. Across Romantic Europe, people were already familiar with the upper-class version of Scottish music, an indicator of a vibrant native culture full of “highlanders" and "tender lassies.” This version of Scottish music was popularized by Mendelssohn, Beethoven, and Berlioz and the military Highland Regiments. At the beginning of the 1800s, as Gaelic-speakers were being driven from the their lands, the poetry of upper-class nationalist poets Robert Burns and Sir Walter Scott was put to music, further defining Scotland’s culture across the world. The music of the Scot-Gaelic lower class, however, was until recently neglected in the annals of Scottish history. With the decline of the English-assimilated upper class during the twentieth century, Scottish nationalism finally moved to the middle and lower classes, as the Scottish once again found themselves perceived as a backwater nation, this time a nation of oppressed blue-collar workers upon which the rich English (and the rest of Europe) depended. Only in the twentieth century did this nationalism become political and not just cultural. This political fervor peaked first in the 1990s with the first move for Scottish autonomy, and of course again a few of weeks ago. While the Scottish still do not have their own country, they continue to push toward greater autonomy. Earlier in the twentieth century, as part of the national identity crisis, some called for deconstruction of Scottish tartany myths, now seen by some as oppressive and belittling. This search for new identity coincided with the folk revival, which had started in the United States and soon spread to Ireland and Scotland. With the elevation of folk music explicit in this movement, Scotland finally turned its attention to its few Scots-Gaelic-speakers for production of a new national culture, as these people symbolized Scotland’s own state of repression. This old cultural capital could be used to redefine the Scottish people against the English hegemony, with a new emphasis on autonomy. By the time of this crisis, the Scot-Gaelic culture had been dying a slow death for some time. Casualties of Scots-Gaelic soldiers in World War I had effectively halved the number of Scot-Gaelic speakers, and that number has dwindled to around sixty thousand today, about 1% of Scotland’s total population. Considered one of the poorest in the country, this small population lives almost entirely on the west coast and islands. They have kept alive, however, a vibrant and distinct music tradition, especially with regard to Scots-Gaelic songs. Next week, I’ll delve more into Capercaillie’s music and how they specifically tapped Scottish tradition and the global Celtic culture. Read part 2 here. (1) Anthony D. Smith, Ethno-Symbolism and Nationalism: A Cultural Approach (New York: Routledge, 2009). (2) Hugh Trevor-Roper, “The Invention of Tradition: The Highland Tradition of Scotland,” in The Invention of Tradition, ed. by Eric Hobsbawm and Terence Ranger (Cambridge: University Press, 1983): 15-42. (3) Viet Erlmann, Music, Modernity, and the Global Imagination: South Africa and the West (New York: Oxford University Press, 1999). (4) Desi Wilkinson, “‘Celtitude,’ Professionalism, and the Fest Noz in Traditional Music in Brittany,” in Celtic Modern: Music at the Global Fringe, ed. Martin Stokes and Philip Bohlman (Lanham, Maryland: Scarecrow Press, 2003). This coming week, I have the opportunity to present a paper at the Singing Storytellers Symposium in Sydney, Cape Breton Island, Nova Scotia, Canada. The symposium is being held in conjunction with the annual Celtic Colours International Festival, which for 17 years has brought Celtic musicians to Cape Breton Island for a week of traditional music. Why Cape Breton? 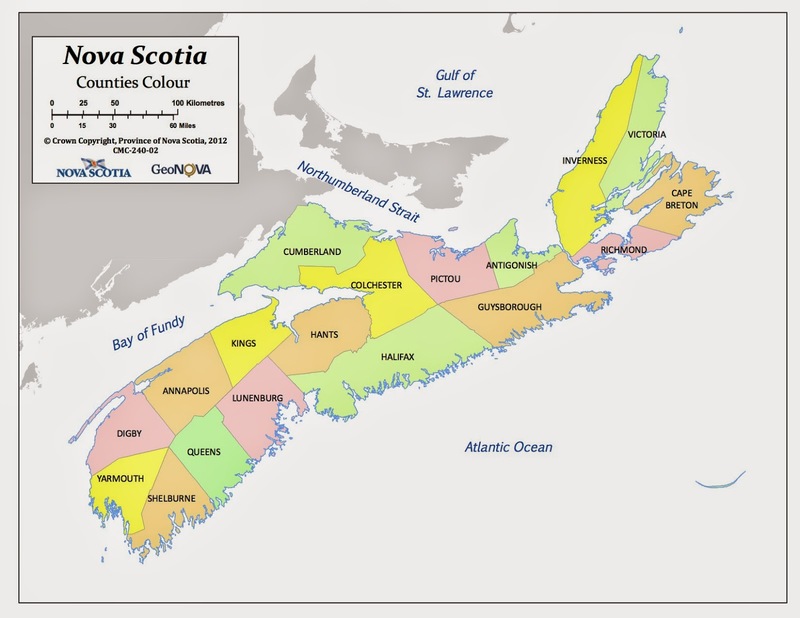 In turns out that a sizable majority of Cape Breton’s population is of Scottish descent—and not only Scottish, but Scots-Gaelic. In events called the “clearances” in the 19th-century Scotland, many poor Scots-Gaelic people were kicked off their land by the English-assimilated upper class to make room for sheep. Approximately 50,000 of these outcasts settled in Cape Breton, which had many similarities to their native highlands. 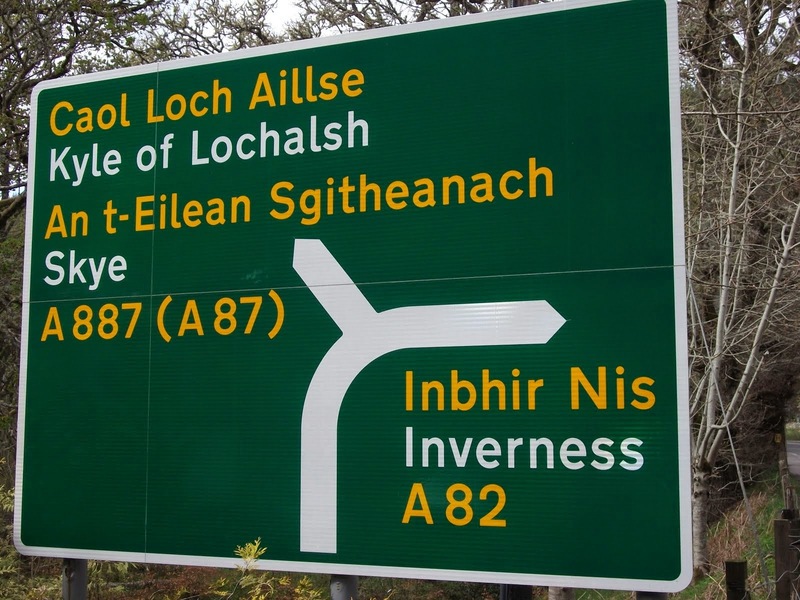 Even today, a few of the older generation’s first language is a dialect of Scots-Gaelic. In this relative isolation, Scots-Gaelic culture may have been preserved in Cape Breton even better than in Scotland, where the Scots-Gaelic were marginalized and persecuted. Modern-day Cape Breton’s tourism is heavily based on the Celtic culture. I love the picture of happy people waulking at the top of this Celtic Tourism webpage tourism website—now middle-class people are enjoying what used to be the hard manual labor of making wool soft enough to wear. Of course, the traditional Gaelic call-and-response songs that accompanied waulking make it culture. Otherwise, I'm not sure they could get tourists to do it. Over the next two weeks on the blog, I’ll present a modified version of my paper, about the music of Scottish folk music group Capercaillie.